Rock climbing is an extreme sport that teaches you to face your fears and take on new challenges with determination. Like a champion chess player, and expert rock climber is always planning out his next few moves. He finds cracks that provide firm footing, and keeps moving upward. They take risks...but those risks are carefully calculated. We all have mountains to climb. You can reach the peak if you just take it one rock at a time. 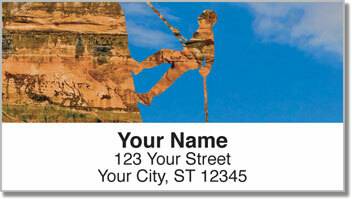 Rock Climber Address Labels from CheckAdvantage feature eye-catching imagery of fearless cliffhangers. 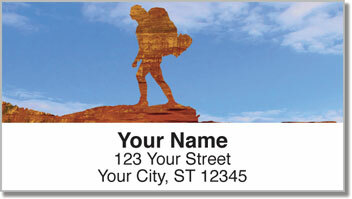 Use these labels to save a ton of time when preparing outgoing mail thanks to a convenient, self-adhesive backing. 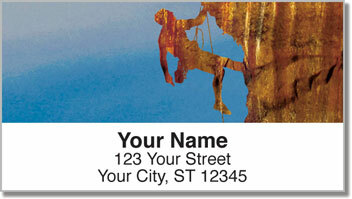 Make Rock Climber Address Labels yours today! 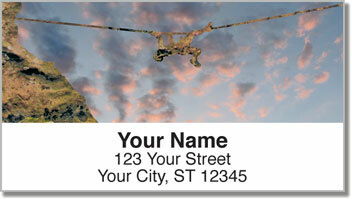 You can also order this design as a set of matching personal checks!